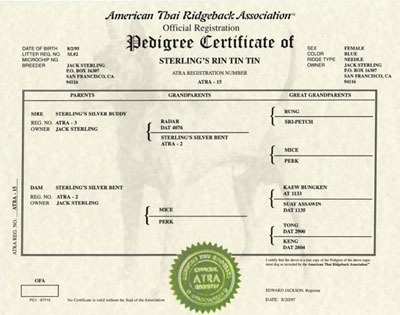 Below are pictures of the actual front and back of the ATRA 3 generation pedigree Certificate that you will receive when you register your TRD. 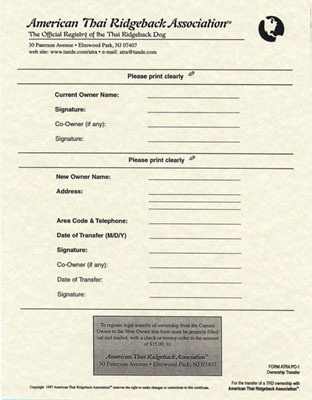 Above: This is the front of the Pedigree Certificate. Click the above image to view a larger image.